Newport, Rhode Island and the surrounding towns offer a wonderful variety of attractions and activities. From the magnificent Gilded Age mansions to the many unspoiled sandy beaches Newport more than upholds its name as City By The Sea. There is always something for everyone when visiting Newport. Annual harbor side music festivals, major sporting events and big name regattas attract thousands of visitors. Award winning restaurants and fabulous specialty stores line the waterfront, Broadway and Bellevue Avenue locations. Getting out on the water is easy and fun. From kayaking explorations to romantic sunset cruises Newport Harbor offers an unforgettable experience. Exploring other parts of the island is must and offers the opportunity to tour breathtaking sea-side vineyards, attend a polo match or view the meticulously manicured topiary gardens. With all the island has to offer, Newport is sure to become a vacation tradition. 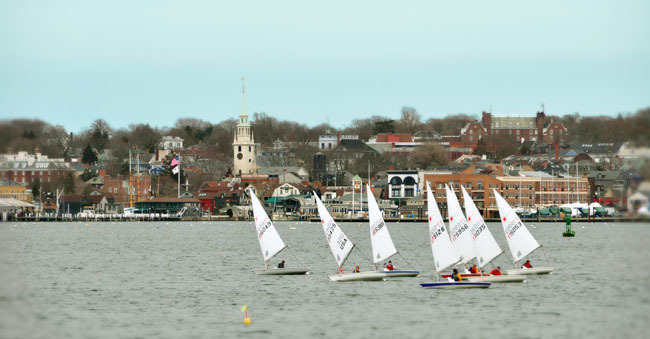 Please take a look at our gallery for more Newport RI area attractions photos!